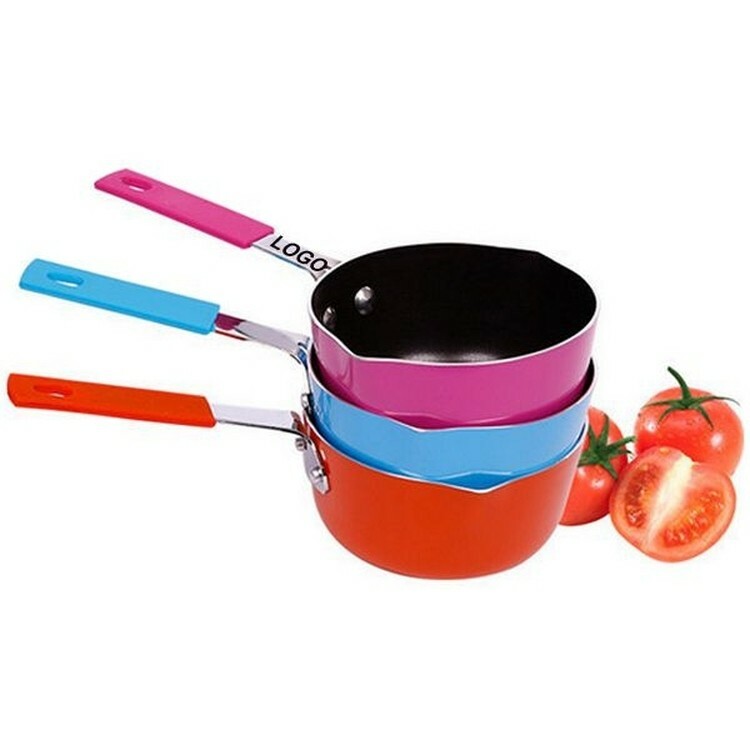 The colorful cookware milk cooking pot fry pan is great for warming and pouring milk or cream. Melt butter, warm chocolate, or reheat single servings with this convenient little butter warmer. Durable, easy to clean, and corrosion-resistant. The pot's tidy design makes it comfortable to handle during use, and shining mirror finish is safe for the dishwasher. 4.5 " X 2.56 "